The Internet Archive has a large (over 58,000 items) and growing collection of netlabels. Recently we received a message asking to help announce a new global event, Netlabels Day. Please support it if you are part of the netlabels world. The Record Store Day was created on 2007 to celebrate the record stores on the USA and the rest of the world. In that celebration, independent bands and labels releases music exclusively for that day on vinyl, seizing the revival of that format. This was the base of the Netlabel Day, a sort of distant relative of RSD, that pretends to install a new tradition releasing digital music every 14 July from now on. This initiative was born in Chile thanks to Manuel Silva, from M.I.S.T. Records, and it reunites more than 50 labels from all over the world. All genres are present: Rock, pop, electronic, noise, ambient and many many more, free and just for you. We will upload every single release on Archive.org, because we love this platform. We always use it and we’ve never experimented any issues with it. Every album will be available for free on WAV and FLAC via direct download, or torrent as well. The most important thing is to include everyone in this idea. 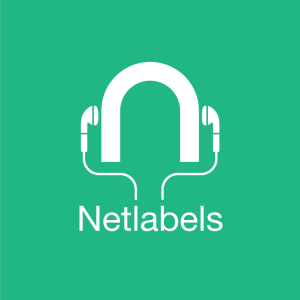 We will close the call on June 1, so if you have a netlabel and you want to be part of this, please email us to contact.netlabelday@gmail.com. If you are an independent artist without any label associated, you can release your music with us too and be listened by every participating netlabel, so just contact us from May 15 to June 1. Everyone is invited. Be part of this madness! This entry was posted in Audio Archive, Event, News. Bookmark the permalink. I think this is the best initiative to keep music from dying. The best way to do so.